Drones are also known as Unmanned Aerial Vehicles that do have a lot of uses, they are designed for the purposes of entertaining or working for us. Every drone has a specific design and each design can be used to our advantage in various walks of life. Drones are used for a large variety of applications in recent years from art installation to landscaping. You can literally think up what a drone can do to satisfy your needs and perform some work you are not able to do comfortably as a human. Drones nowadays can be used to deliver goods, like In some technologically advanced countries they are a suitable replacement for the regular delivery man. Drones are used by delivery companies to make deliveries of certain sizes to places nearby a local drone station. It can reduce the use of human labour even in the delivery firm. Companies like Dominos and Amazon have seen the potential for this kind of application of drones that might soon be normalized in the future. Amazon is working on its resources to facilitate a 30-minutes delivery service using drones. Kids can also use this device too. There are various toy drones for kids, which can teach them how to use a drone and the best time to be good at something is to learn it at a younger age. Who knows? Maybe the kid will one day work in a company that require him to control drones. It also improves some personal skills such as the motor skills and spatial problem-solving skills of the child. This is much better than an onscreen experience because the crashes and landings are real. Crime is the woe of every society, but primarily crime fighting is investigating. Security forces around the world are starting to implement the use of drones for the purpose of fighting crime. The drones can be used to gather evidence or intelligence on potential leads or threats. This may be bad for the privacy of a citizen. This could actually reduce the crime rate and still save human labour. But the best kind of crime fighter is us human beings even though we are prone to make mistakes. The use of drones in journalism has made it much easier for a journalist to tell stories in a more fascinating way. 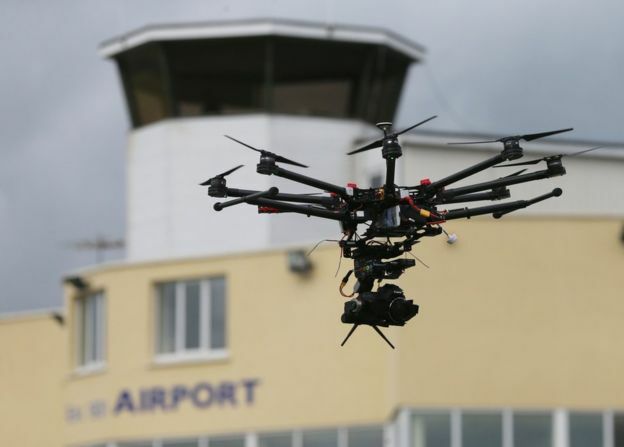 The reliance of drones as an alternative for data-gathering by news companies is growing. This is because they realize the value of this device. This device is used for the function of gathering data for news articles are referred to as “drone journalism”. They are so useful because of their ability to film from an angle a reporter can’t reach comfortably. Live streaming via drone information is quite useful these days. Rescue operation requires speed and effectiveness. The medical tools needed by the paramedic that is attending to a patient far away from the hospital is nearby can have the tools he needs quickly by receiving it through a drone. This is an advantage because of it bests traffic. Another instance is when someone is missing in a wreckage, the thermal sensors connected to the drone can locate the lost person or persons especially at night. The two instance mentioned earlier are examples of the improvement of the rescue operation. Monitoring wildlife mostly endangered species can be easy and safe, now that drones have been invented. This concept was put together by a team of Indonesian scientist. They drones to spy on a group of endangered apes to check their being and habits. The drones can take pictures of wildlife better than human photographers. War has changed ever since the invention of drones. It is known to increase the life expectancy of a soldier. The American army uses war machines with drone features to fight in wars. A pilot doesn’t have to be in a bomber plane to carry out airstrike missions. Drones can even be used by the foot soldiers to scan the area for enemy threat, this is one of the functions that save the soldier’s life. Spying surveillance to can also be functions of this drone device. With this few ways, it is clear that we benefit enormously from the use of drones. As years come by we will continually have more use for them.